Jennifer Aniston has located her next project – and it’s moving at a brisk clip. First reported by Deadline, the actress has signed on for Dumplin’, a music-driven comedy said to be similar in tone to that of Pitch Perfect and Bring It On. Anne Fletcher (Hot Pursuit, 27 Dresses, The Proposal) is behind the lens, directing a script from Kristin Hahn. Aniston, meanwhile has reportedly landed the role of Rosie, a former beauty pageant queen who now runs the local Texas pageant. Despite initially finding a home at Disney, Dumplin’ has now uprooted for the indie route, with Deadline noting that Michael Costigan’s (Ghost In the Shell) COTA Films is attached to produce. Any other project would have struggled to gain a sense of momentum, but now that Aniston has climbed aboard, it’s understood Fletcher and Co. are eyeing a summer shoot ahead of a theatrical release in 2018. That fits neatly into Jennifer Aniston’s busy schedule, too, given the industry veteran is just coming off The Yellow Birds and bonkers festive pic, Office Christmas Party. 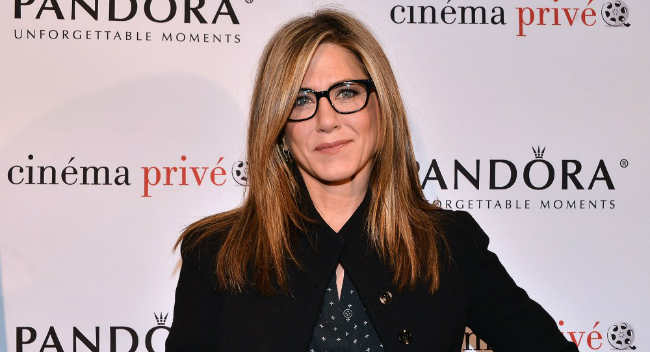 Dumplin’ is also an exciting change of pace for the actress in that it’ll incorporate some musical elements, and those familiar with Julie Murphy’s original YA novel will no doubt vouch for Aniston’s casting. Dumplin’ follows Willowdean, a confident, plus-sized, teen who is obsessed with all things Dolly Parton. To spite her mom (Aniston), Willowdean enlists some friends to join the local pageant – and what starts as an impulsive one-day protest snowballs as Will inadvertently becomes the inspiration for a ragtag group of teenage outcasts joining the pageant. Given her “insider” perspective on her mother’s pageant world she had long scorned, Will gains new respect for her mom who, in turn, comes to admire a daughter she’s finally able to see, and love, for who she really is. Dumplin’ is expected to enter production in earnest this summer. For now, tell us, what are your preliminary thoughts on Aniston’s casting? Sound off in the usual place.